I’ve decided to answer a personal question in this week’s Readers’ Mailbag, about how my relationships with others changed as I went from being a very conservative evangelical Christian to becoming an agnostic/atheist. Would you be willing to elaborate on how your changing views affected your relationships with friends and family and how people reacted to your changing perspective? Thanks so much! As it turns out, in my case, the biggest “problem” for my relationships with family and friends was not so much when I became an agnostic, over twenty years ago now, but when I left the evangelical beliefs I had held as a young adult to become a “liberal” Christian with critical views of the Bible, the historical Jesus, and the development of early Christian theology. For some years, from the time I had become a “born-again” Christian when I was fifteen up through the years I was at Moody Bible Institute and then Wheaton College, and even my first year in a Masters of Divinity program, I had been a gung-ho and rather outspoken advocate of the absolute truth and infallibility of the Bible, and of the traditional doctrines of the Christian faith – the literal Virgin birth of Jesus, the absolute historicity of all the events narrated in the Bible (both Old Testament and New Testament), the actual, physical resurrection of Jesus from the dead, and so on. I believed that all these things could be actually proved, and I spent tons of time talking to my friends and families about them – either directly about them or indirectly, when talking about other things but these views were assumed. They were very much a part of who I was, and it was what people expected of me in their own understandings of who I was. Because of my studies at the graduate level, starting with my MDiv at Princeton Theological Seminary, I started to change my views. I did so very reluctantly; I fought hard against the new insights I was being handed in my biblical studies classes. Some of my professors (rightly) thought I was a real pain in the backside, with my conservative views that I clung to rather tenaciously. But over time, the more and more I learned, the less and less I could remain convinced that my views were actually right. I would say the definitive turn probably started in my junior (second) year in my master’s program, as I came to realize that – despite what I wanted to think – the Bible really did have problems. I started seeing discrepancies that had simply escaped my attention for all the years before, places where one passage contradicted another, where there were almost certainly historical mistakes, or geographical errors, and so on. At first I concluded that such problems affected only the small details of the text. But over the course of a year or two, I started seeing that they affected very big things indeed. Anyone can see these kinds of problem for themselves and doesn’t need to take anyone else’s word for it. This past week (some 37 years later for me personally) I had my undergraduate students do a detailed comparison of the three accounts of Jesus’ resurrection in Matthew, Mark, and Luke, noting all the similarities and differences and seeing if there was a way to explain the differences. The differences are all over the map: who goes to Jesus’ tomb? How many women were there and what were their names? Was the stone rolled away before they got there or after they arrived? What did they see there? What were they told there? Did they do what they were told or not? Which of the disciples saw Jesus, if any? And when? And where? And on and on. These might seem, on the surface, just to be detailed issues that don’t matter. But there are some real, and serious, contradictions. I would challenge anyone to explain to me how Luke can be right that the disciples saw Jesus in Jerusalem on the day of his resurrection and were told not to leave Jerusalem and never did leave Jerusalem until long after Jesus ascended to heaven forty days later, if Matthew is right that the disciples were told to leave Jerusalem to meet Jesus (some hundred miles north) in Galilee and they did leave Jerusalem right away and did see Jesus only in Galilee. Did they stay in town the whole time or not? I don’t see how it can be both. This created a rift in a number of my relationships. Especially with church people that I used to associate with and with some family members, who couldn’t understand why I was “leaving the faith.” I eventually realized that I simply couldn’t keep going to the same church any more. I wasn’t comfortable; the people there – whom I very much liked – weren’t comfortable. And so I had to go. I didn’t actually leave off from church: I simply went to a more liberal one. But the older friendships disappeared. As did my friendships from colleg. With family it was harder. You can’t quit your family and just join a new one. There were some truly awful conversations and disagreements – that lasted for years. Eventually we got to a point where we simply didn’t talk religion any more. That seems to make everyone happy, and we just get on with our own lives. My view now is that there is no reason to try to convince a loved one of your personal religious views. What’s the point? There are so many other things to be interested in, to care about, to be passionate about, to share in common, to experience together – without talking about whether lit is creation or the Big Bang; Adam and Eve or evolution; the inerrancy or errancy of the Bible; the physical resurrection of Jesus or later legend; and so on. So with my (original nuclear) family, we simply don’t go there. It is more important to build up loving relations than it is to brow-beat someone into agreeing with you about religion so that you will see eye to eye even on matters that are really important to you. I have a new set of friends, who are just as great as the old ones, and with whom I have masses in common. And so life is really good, and I’m very glad indeed that I made the transition. But it was tough-sledding at the time. This post is free for all; but to read most of the posts on the blog you need to belong. If you’re not a member yet, JOIN! It costs less than 50 cents a week, and you get tons for your money. And every penny goes to help those in need. My Favorite Anecdote about Jesus and the Afterlife: Teeth Will Be Provided! Bart — I was also a believer until it all collapsed one day. I think the stories of notable one-time believers like yourself, why and how they left the fold and the repercussions they faced, would make for an interesting book. Bart, how did you go about reconciling the differences in the resurrection accounts in Mathew and Luke when you were a fundamentalist Christian and – is there really no possibility whatsoever of reconciling those differences? I have a feeling that there is no shortage of fundamentalists Christians who continue to insist that any ‘apparent discrepancy’ can be explained without difficulty. Most of them can be reconciled if you don’t mind doing a *lot* of fancy interpretive footwork. But I never noticed or heard about the problem of Jerusalem (Luke) vs. Galilee (Matthew). It’s not the sort of thing that would occur to you unless you’re looking for it. Thank you for this, Dr. Ehrman. One difficulty when telling people that their conservative religious beliefs may not be true is that it may shake their emotional foundation. It is tantamount to telling them that the people they trust the most – their parents, clergy – who taught them those beliefs, were *wrong*. Goodness! – if those most trusted people were wrong, is there also no morality, no meaning, no God? Do all good things go out the window? No wonder they often cling to their beliefs, rather than find their own meaning and morality. I like to use the analogy, pointing out to a fundamentalist the slightest error in the Bible is similar to pulling out a card from a house of cards, just one card can make the entire edifice collapse, including their lives. I agree. This path seems to necessitate that one be “stout of heart”. My world turned upside down twice. First, when my husband and I left the IFB church that we were in. Then, second, when I started to see after much searching, that Christianity is certainly up for debunking. It amazes me still how easy it was to debunk. One only has to be truly willing to look. You’re sorely missed from the faith, Bart – but I’m glad you have a happy family life, and I’m really pleased you keep up this blog. I don’t know if other popular authors are willing to share these insights, but I’m glad you are. You remind me a little of Paul, who would sometimes reflect on his wrenching shift of belief and the effect it had on him. “Thanks so much” for sharing this. I think the only thing I would still struggle about is that I really like the idea of discussing stuff with someone and having both of us learn something from each other and maybe both of us changing our minds about something. That certainly seems hard to do.these days. I certainly understand how one is welcome in a group if one shares the views of the group and how one gets ostracized if one’s views change. That certainly happened to me and it resulted in my giving up a very large part of my life. It was best for them, if not for me. This seems so sad to me. I would think true friendships would survive changing religious views. another problem in the resurrection accounts is the mary madgalene problem which farrell till used to use in his written debates with christians. Till used to do point by point rebuttals to apologists who came out with solutions. how is it possible that mary runs off to peter to tell him that the body of jesus is stolen when mary was told by an angel that jesus was on his way to galilee ? even after she meets jesus, she thinks some one stole his body. Well, you’ve clearly no reason to thank Him for your sense of humor. Something I’ve noticed about a lot of atheists. In deciding whether it’s worth one’s time to convince other people of one’s views…I think I would say it depends on how harmful others’ views are, to themselves and others. I used to believe in a literal hell, which is a horrible burden for anyone to carry. One shouldn’t be happy with the knowledge that so many people are going to be tortured forever. As I get older and the reality of death is much more tangible, I think I would be absolutely miserable if I still held that belief. I am ecstatic that I lost my faith, for that reason alone. I wish someone had tried to convince me I was wrong years earlier. And today there are millions of people, holding this absurd belief about eternal torture. And some of them are open to change (more and more people today seem to be giving up their faith) and could be spared that burden, if they had someone in their life–not to ‘deconvert’ them, but to challenge their beliefs… assuming of course that they are open to discussion. Thanks for this. Really helpful for those of us who are going through similar transitions. I had an intense experience with religion in my life: Born and baptized Catholic to Fundamental Baptist to “Neo-Evangelical” to “Liberal Christian” to Agnostic teetering on Atheist. I can so relate to your experience. In the end, family is everything if you’re lucky enough to have kind kin. I can’t begin to tell you how your books have helped me to organize my trains of thought about the Bible and all my questions about it. I even wrote a book about my crazy time with religion and how it PROFOUNDLY affects relationships. It’s a novel entitled Kristie Almighty about which I am very passionate. It portrays the ugliness that American Christianity can be as it affects human interaction. I understand if you don’t want to approve this post but I hope sometime you’ll read my book and enjoy it. Thanks!!! reading your book now (on Kindle). it’s caught my attention. so far, so good. Thank you. That’s nice to hear! In a note to 1 Cor. 1:2, the HCSB says, “In biblical usage, to be holy means primarily to be set apart for the service of the holy God,” which begs the question, What does it mean for God to be holy? Surely not set apart for the service of itself? It means set apart from everything else, distinct from all. My transition from believing in the trinity to believing that Jesus was just a human like anyone else was very tough – especially with all my Christian friends and family. But my transition from believing in the “Biblical” creator god (or any organized religious god for that matter), will be an even tougher road. So far I have not told anyone about my new found belief. At this point I’d say I’m about 99.9% convinced that the God of the Bible is a myth. But I’m still in the camp that believes life can’t come from non-life and that matter can’t come from nothing. It was never really a problem for me. My dad was bothered a bit by my no longer believing Jesus was God, but we continued to share an interest in the progress (or lack thereof) in Vatican politics. My dad was conservative about some things, but you’re talking about somebody who got involved in fighting for better treatment for the immigrants who harvest our crops, because of Dorothy Day. He even came around a bit on gay marriage towards the end. In th end, he believed that faith without a passion for social justice wasn’t faith at all. I’d call him a lot more of a true progressive than most atheists I’ve met. He did more than just talk. He was working with Mexican immigrants in South Carolina, after he retired down there. I respect people whose journey takes them away from religion, but they really ought to think, from time to time, about how other people’s journeys will take them in the opposite direction, and not be so concerned with whether everybody agrees with them. Everybody never will. As a heterodox bishop who believes in the historical and archaeological findings and also believes that there is God and an afterlife, I think it is important to put forth the historical and archaeological truth. Assuming that Jesus is still alive in some sense and knowing that he was a Jew in this life who never built a Christian church, nor ever intended to form Christianity, I think he despises what the church has turned him into. I think, as a member of the clergy, I need to speak up about this even though many will not like it to say the least. I will be accused as a heretic. However, if they want to talk heresy, for me, the worst heresy is misrepresenting Jesus in a way that would make him despicable as a Jew by telling people he wants them to eat his flesh and drink his blood; and telling people that he is God. We don’t know if Jesus actually said that bit about eating his flesh and drinking his blood, but this was a man who spoke in metaphors a lot. If he called himself the Lamb of God, he did not expect us to believe his mother was an ewe (let alone a virgin ewe). I don’t think the story of the Last Supper was made up out of whole cloth, and please remember, he would have been in a fairly exalted mental state, knowing as he did that he was going to die in a pretty horrible way, very soon. It has long been clear that Jesus never, at any time in his life, referred to himself as God. Bart has done as much as anyone to explain how that view evolved over the generations following the crucifixion. And honestly, though this is just my opinion, not a point of order, if Jesus really is up there in the firmament, gazing upon the wonder of all creation, would he really have the time to worry about what a bunch of crazy goys are saying about him? I think Jesus wouldn’t like it wherever he might be if he was able to be aware of it. It would be an insult to Yahweh, whom he loved very much. Jesus was a Jew. 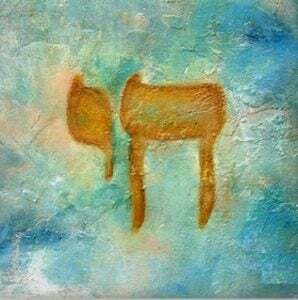 He would have believed that the basic tenets of Judaism existed because God put them forth. Do you think he knew when and how he was going to die? If so, that would seem to suggest much greater foresight than the typical human, not to mention near super-human discipline to stick around and not run. I think he went to Jerusalem with the express intent of creating the circumstances that would lead to his trial and likely crucifixion. Everything points to that. Even the way his apostles react with confusion and anger when he tells them he’s going to die soon. In my opinion, he felt his death was necessary to bring about the coming of the Kingdom of God. If you can believe Buddhist monks set themselves on fire in Vietnam (we have film footage of it), to protest the way they and their co-religionists were being treated by the Catholic-dominated South Vietnamese government, why not that? The Plains Indians put themselves through horrible torture in their Sun Dance rituals–a ritual that is still practiced today in some places. So brutal that there has been talk of banning it. Jesus was not an ordinary person. That doesn’t mean he was superhuman. It means he was a human who had acquired a certain level of mental, physical and spiritual discipline that most people could not fully understand, because most of us try to avoid pain and privation. Some go to meet it head-on. I’m sure it was harder for someone like you – religion having been a *big* part of your life – than for “ordinary” people. No one other than my mother would ever have given a hoot about what I did or didn’t believe. As a young woman, I *was* reluctant to tell Mom I was a “secret agnostic.” I sat through those deadly dull Catholic services for several years before I found the courage to “out” myself. But when I did? No problem! Mom and I had always respected one another, and we still did. Would have been harder, of course, if I’d married and/or had children! As it happened, I didn’t. Now, I realize I won’t live forever…so I’ve made sure my next of kin (a nephew) understands my wishes re obituary and burial. No theistic touches; burial in a Catholic cemetery, in a plot for which I have the deed, only to be with my parents and sister. I’m glad you have someone who will carry out your wishes. For those who wish to do so for another take on this topic: The article “Paul is Dead” [tee hee] in The New Yorker, July 10 & 17 (double issue), 2017; top right page 85, the paragraph in small print which addresses: “the hidden fear behind Paul’s admonition to the Galations.” (Galations 1:8). I had a dramatic exit from my Pentecostal church. Before Sunday night service began, someone noticed I had cut my bangs and ran as fast she could to notify the pastor. As I was settling into the sound room, my pastor came in and was calm at first, but then he got really worked up and we started arguing. That led to me being ordered out of the sound room. If I couldn’t abide by the rules, then I wasn’t allowed any positions. I had been officially “sat down” as they called it. On my way to literally take a seat in a pew, I thought–nope, I’m not doing this anymore. So I turned around and walked out. As I was walking to my car, I opened up my Bible for guidance and my eyes immediately fell to Ephesians 2:8-9. I thought it was a sign from God that I’d made the right decision. My fundamentalist days were officially over. The church I belonged to believed it was a sin for a woman to cut her hair. If a woman cut her hair it was an act of rebellion and an outward sign that she was attempting to usurp the higher authority of man. That sounds like Sikhism, where the men don’t cut their hair or shave. Pentecostal women are required to have bangs? Oh, not allowed to CUT your hair, because of something in 1 Corinthians. Well, at least this means people are paying attention. Strangely, we never used that reading at any mass I ever attended. I chose Paul for my confirmation name. I have, at times, debated finding out whether I can have that changed. Well, I’d probably have to start going to mass again to even have that conversation. The greatest test of faith? The idiocy of some faithful. Judge not lest we be judged, I suppose. When I was in bible college I won 2nd place in the annual poetry recital but was informed later on by the dean of women that even though I received the most votes, the college president gave the 1st place award to the contestant right behind me, because the dress I was wearing was too tight above the waist (it was floor-length). Sadly it took me a lot longer to leave that “cult.” You made the right decision. Craziness. Well, that was the last thing to happen which caused me to leave, but there were other issues before that. How did you feel after the dean said that to you? I wonder if cult is the right word? Early Christianity was certainly a cult, and yet much evidence exists that women could wield a lot of power there, and were probably less constrained than most of their sisters in Jewish or pagan religions (remember that nuns who make vows of chastity are descended from the Vestal Virgins). The seeds of later repression can be spotted here and there, but did not seem to take root until Christianity became a full-fledged religion. We use the word ‘cult’ as if it means something disreputable–even those of us who dislike mainstream organized religion assume it is somehow more respectable. By their fruits shall ye know them, not terminology. I once walked out of a Yom Kippur (Day of Atonement) service because when I went up to give the priestly blessing (I’m a Cohen), the extremely Orthodox rabbi came up and whispered that he wanted me not to do it, because he had just found out my wife is not Jewish. (A Cohen is only supposed to marry another Jew.) So even though I was the only Cohen in the room, he would rather not have the priestly blessing than have me do it. I not only sat down, I walked out, went home, and had lunch.